The Big Help Project "Homes with Style"
The Big Help Project started out as the Knowsley Food Bank before expanding its services to include debt advice and back to work guidance for people within the local community. 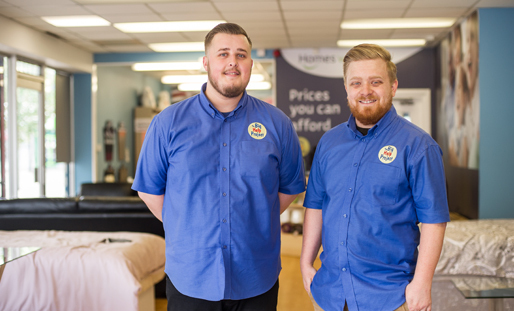 Recently the charity has opened “Homes with Style”, a shop in Huyton that offers vital household items at an affordable rate, working in partnership with the local council, Credit Union and Co-Operative Electrical. We have previously funded two members of staff and, most recently, a new low-loader delivery van.